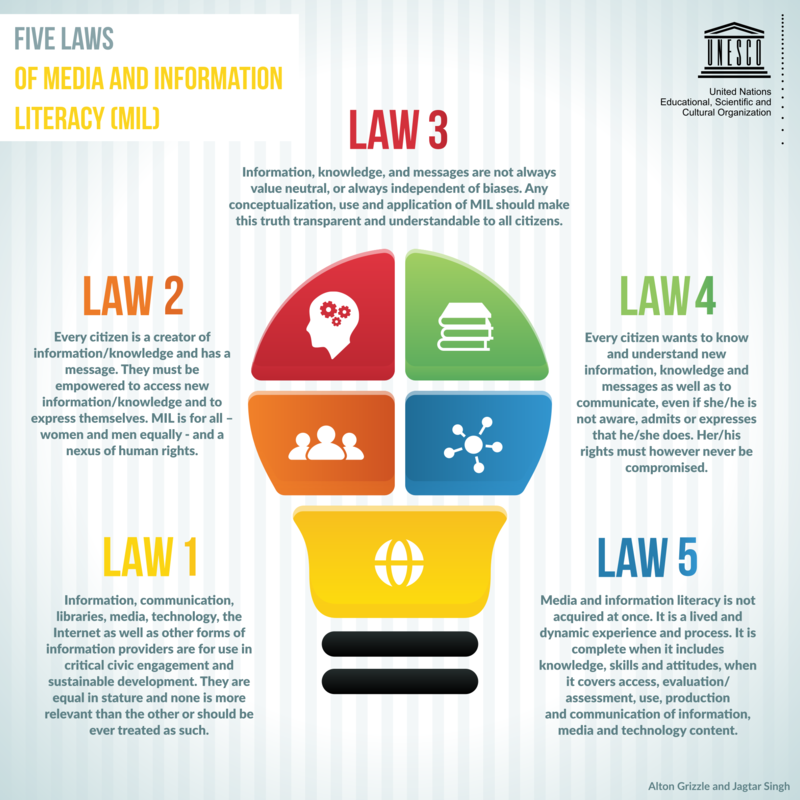 This week UNESCO launched a framework illustrating its Five Laws of Media and Information Literacy (MIL). In essence of course, the 5 Laws focus on competencies that address knowledge in all formats and resonate with our own professional values and standards. In summary they assert: (1) information/media are critical to civic engagement and sustainable development and equally relevant in all forms; (2) every citizen is a creator of information/knowledge; (3) information/media messages are not always value neutral and truth should be made understandable; (4) every citizen has a right to access and understand new information/knowledge/messages; (5) media/information literacy is acquired as a process. UNESCO plans to focus on preparing teachers to better understand and integrate MIL into teaching and learning by providing appropriate pedagogical methods, curricula and resources. The graphic is available at the UNESCO site in English, French, Spanish, Chinese and Portuguese.